Patchy Work of Mini Grey: A Pink Christmas Runner? Its beginning to look like Christmas! The cheesy Christmas decorations scattered around the house and the fact that I have finished something gives it away! 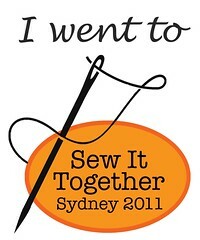 Hope all is well in everyone else's sewing world. Hear Hear for cheesy Christmas decorations . . . Happy New Year! I love this runner and you inspire me to do something like this! LOVE the color combination! I love seeing my quilt on your blog header. It hangs in my bedroom where it brightens my day every time I look at it! Hugs from your New Hampshire USA pal!